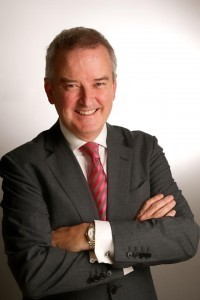 John McGrane is Director General of The British Irish Chamber of Commerce, a private sector organisation which he co-founded in 2011 to represent businesses with interests in the two islands and their economies. He is a retired financial services professional having completed a 40 year career with the Royal Bank of Scotland / Ulster Bank Group in Ireland. His career has spanned substantial initiatives in the enterprise and corporate sectors, both indigenous and foreign direct investment. He is Founder of NSI Technology, a tech start-up which helps Not For Profits become Not For Losses. He plays an active role in numerous business, cultural and charitable organisations alongside his work as leader of The British Irish Chamber of Commerce. John will discuss where Brexit matters are and how you can stay focused on your needs and opportunities through the change. Location: The Alex Hotel, 41-47 Fenian St, Dublin. To book your place email niamh@nrf.ie or contact the NRF office on 01-8161754. Venue: Hibernian Club, 9 St Stephen’s Green, Dublin. Speaker: Johnny Campbell, Co-founder and CEO of Social Talent.